I learned a lot about becoming my husband’s best friend from watching his relationship with his best friends. There was a point in time when I was actually jealous of the relationship that he had with his friends and so I set out to determine what it was about him that made him enjoy spending time with them versus spending time with me. Observing their relationship told me a lot of things about myself about my personality, my attitude, and my character that I may or may not have wanted to face in the past. The number one reason why we weren’t best friends is because I turned up my nose at 97% of his hobbies, ideas, and advice. Don’t get me wrong he acted in a similar way toward me but the point is that I wanted to have a better relationship with my husband. I wanted him to be my best friend and in order to do so I began taking notes. These are some of the things that I observed from watching his friendships. 1. His best friends encouraged him and not put him down. When I took a long hard look at this character trait I realized that I do not possess it. 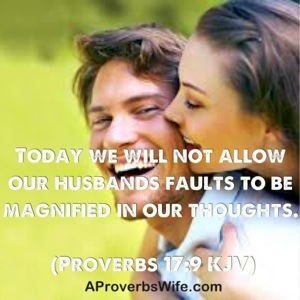 I had become so bitter and frustrated and angry and resentful about unresolved issues in our marriage that I couldn’t bring myself to encourage him the way I should have. Instead of being his number one cheerleader I was the one bringing him a great deal of grief. After realizing this I made a commitment to become his number one cheerleader. I refused to allow anyone else to stand in that place ever again. I determined that I would be the one to encourage him and build him up the most of anyone he knew. 2. They either share the same hobbies or took an interest in the hobbies he enjoyed. I like shopping blogging, reading, social media, ice cream and coffee. My husband likes television shows, exercising, sports and video games. As you can see I didn’t like the things he liked and he didn’t like the things I liked my or at least so I thought. In order to be my husband best friend I would have to begin learning about his hobbies and the things he liked. So one day I decided to begin spending time with him on the weekends doing his hobbies. I tried each of them several times and I still don’t enjoy them but what I’ve learned is that I enjoy the time we spend together. He gets a kick out of teaching me how to get better at Xbox or how the sports game is played or how to do a specific exercise. The fact that I don’t like his hobbies hasn’t changed but what I do realize is that I love the time we spend together we are he’s sharing the joy of the things that bring him joy with me. And the extra added benefit is that he now participates in the hobbies that I like and I know he doesn’t enjoy them but he also enjoys the time spent with me and the time I spend talking to him about the things that I enjoy. 3. They not only asked for his advice but they often followed his advice. This observation here was probably one of the hardest ones especially myself being one of those wives who was arrogant and felt that she was just the tad bit smarter than her husband. Don’t get me wrong there are areas where I am more knowledgeable than my husband but at the same time I wasn’t giving him credit in the areas where he was more knowledgeable than I was. When I realized this I began to give my husband the benefit of the doubt. I began taking his advice more and looking at it more highly than I did in the past. In fact I went as far as taking his opinion above my own for a short period of time and the results were astonishing. Not only did it show me that my husband was wiser than I thought he was it also showed me my pridefulness and my arrogance and it showed me how I was allowing haughtiness to drive a wage or divide between our marriage. Taking on this challenge change the dynamic of our marriage. By listening to his advice I learned that he was capable of leading our family and allow me to have a greater trust respect and reverence for him. That does not mean that he was right every single time but he was right enough times for me to understand that he was capable of guiding our family and me in particular. 4. They enjoyed having him around and made sure he knew it. This one was a challenge for me because it meant that I had to deal with my heart issues. It meant that I had to deal with the bitterness and resentment that I felt toward my husband and about my marriage. It’s hard to be happy around someone that you inwardly harbor ill will towards. Once I dealt with my own issues and after a lot of discussion with my husband I was able to let go all of the negative feelings about my husband. Nowadays I do any and everything I can to let him know his presence is appreciated and loved. I assure him that it’s my honor to spend time with him. 5. They knew how to disagree well. When they couldn’t see eye to eye they’d agree to disagree and move on to happier conversation. This observation had one of the most powerful impacts on my marriage of all the observations. This is also the observation that I envied the most. I’d listen to my husband and a best friends disagree about something as trivial as sports and also things as important as Biblical truths yet the conversations always ended with them discussing a lighter topic and them speaking calmly to one another. I wanted that to be the outcome of my husband and I’s disagreements as well. My husband and I both struggled with this one big time And what we realized is that we looked at the relationship with one another differently than we look at the relationship we shared with our best friends. Here’s how. Without best friends it seemed a matter of common sense that either they would agree with us or not agree with us but at the end of the day we couldn’t change them but arguing with them. If the topic was one that related to salvation and right living then we would need to pray for them to receive wisdom from God. We would also need to pray for ourselves to ensure we were in alignment with God’s word. In our marriage we wanted to change one another and we wanted to do it by arguing our point until the other submitted to our opinion. When we started looking at one another as best friends in Christ Jesus we realized that The best way to change someone is often by pointing them to God’s word, giving them time to grow praying for them. I’m my husbands best friend and I wouldn’t have it any other way. Some women don’t care to be their husband’s best friend but I recently shared 10 reasons why my husband holds the number one best friend spot and not my girlfriends. For those of you who are serious about taming your tongue and improving your marriage, my eBook Remove from Me This Venomous Tongue will be for sale on 4/26!! Be sure to join my FREE email list for an exclusive code off the purchase price. So don’t worry if you don’t get access right away! What is your greatest challenge when it comes to being a wife?